Visit the highlights of southern Peru in 15 days. Travel from the Peruvian desert and coastline to the Peruvian highlands. Visit the ´city of the kings, fly over the mysterious Nazca lines and spot the Andean condor in the Colca Canyon. Sail across Lake Titicaca, the highest navigable lake in the world and feel the mystery and history of the Inca Empire in Cusco, the Sacred Valley and world wonder Machu Picchu. Departures: Daily departures at a time we go to arrange with you. Group size Minimum: About 5 persons. 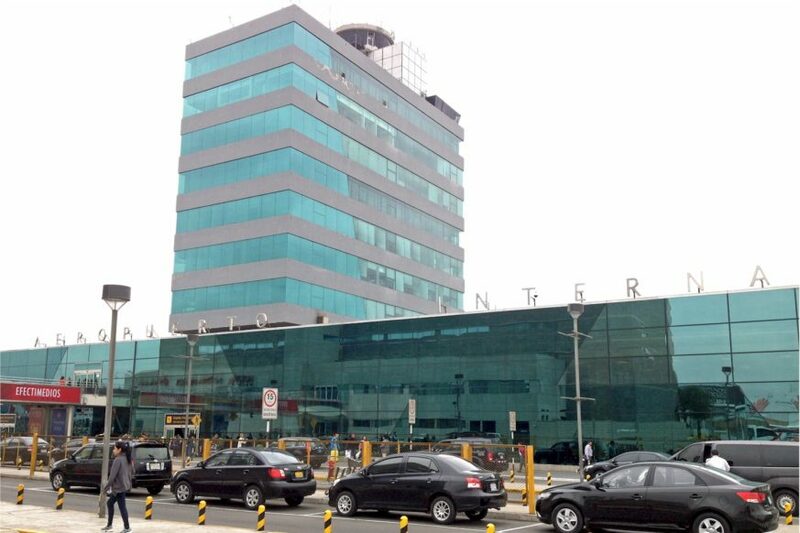 Upon arrival into Lima Airport, our partner travel-team will welcome you and will transfer you to your hotel. Today you have the morning at leisure to recover from your long journey to Peru. In the afternoon, your driver and tour guide will pick you up from your hotel to show you the best sites and attractions of the colonial and modern part of Lima. First we take you to the colonial part, to the Plaza de Armas, the cathedral, the San Fransisco Monastery and the famous catacombs. This monastery is a stunning 17th century example of Spanish Boraque and is listed a World Heritage. After we continue our tour walking through the colonial streets and the historical centre of Lima visiting the San Martin Plaza. After visiting the colonial part of Lima, we head to the modern part to the San Isidro and the Miraflores district. We will enter the Larco Museum and you will see the most extensive collection of pre-Columbian art in Peru, such as mummies, textiles work and gold and silver pieces. After 4 hours of touring the most important sites of Lima, we transfer you back to your hotel. In the morning your driver will pick you up to transfer you to the bus station of Lima, where you will take a luxury bus to Ica. After a journey of approximately 4 hours, you will arrive at the desert city Ica. We will transfer you to Huacachina, just 5 kilometers away from Ica. You have the rest of the day at leisure you relax at the Huachachina Oasis with the palm-fringed lake and sand dunes. In the afternoon you can enjoy an optional tour of sand buggy-riding and sandboarding. In the morning, we pick you up from your hotel in Paracas to transfer you to the Paracas bay, where you enjoy a boat ride to the Ballestas Islands. These are an oasis of rocky islands just offshore Paracas bay and are home to a variety of marine animals, such as sea lions, penguins, pelicans and Inca terms. After a boat journey of 2 hours, we arrive back at the Paracas bay. In the afternoon, we head to the Huachachina, an oasis with a palm-fringed lake and sand dunes just 5 km away from Ica. This oasis is an ideal spot for adventure travelers and you can enjoy an optional tour of sand buggy-riding and sand boarding. In the morning we pick you up from your hotel to take you to Nazca Airport, where you will board your 30-minute flight over the mysterious Nazca lines. The Nazca lines remain one of world´s great mysterious; why, how and when the lines were constructed remains a mystery. During your flight, you will be able to see the most fascinating figures. After your flight, you can enjoy a typical lunch, before we take you to the Chauchilla cemetery, just 30 km south from Nazca. At this cemetery, you can witness mummies in their original graves, dating back to 1000 AD. At night, you will take your luxury overnight bus to Arequipa. Today you have the day at leisure in Arequipa to catch up some sleep and to acclimatize to the altitude. There are plenty of things you can do in this Peruvian white city. Make sure to drop by the Santa Catalina Monastery, one of Peru most fascinating religious buildings and to visit the Mirador Carmen Alto, to get an amazing view of the three big volcanoes surrounding Arequipa. Today we will pick you up from your hotel in Arequipa at 7 AM, to taken on a stunning 3.5 hours scenic journey to Chivay, the main town of the Colca Canyon. Along the way we will pass the National Park Salinas y Aguada Blanca and you might spot some American Camelids, such as vicuñas, alpacas and llamas, so make sure to have your camera ready. You will witness breathtaking landscapes as you drive, such as lakes, glaciers and magnificent volcanoes. Another stop will be at the highest point of the journey (4800 m) at the Volcano viewpoint. We arrive at Chivay and we will enjoy a delicious lunch. The rest of the day you have at leisure; you can take a dip at the hot springs, enjoy a short walk around town or go for an alpaca steak. After an early breakfast, your driver and guide will take you to the most spectacular place of the Colca Canyon, the Cruz del Condor Mirador. At this viewpoint, the depth of the canyon is at 1200 meter and it is the best place to spot the majestic Andean Condor flying over the canyon. The condor is the biggest flying land bird on earth, with wingspans that can measure up to 3 meters. Once we have some good pictures of the condor, we return back to Chivay and along the way we will make some stops at typical small villages of the Colca Canyon. After a delicious buffet lunch in Chivay, you will take the luxury guided bus to Puno. Along the way you will make a few stops at interesting places, such as the stone forest and the Lagunillas lake to spot flamingos. Upon arrival into Puno, at the shore of Lake Titicaca, we transfer you to your hotel. In the morning, your driver and tour guide will pick you up from your hotel to take you to Lake Titicaca, the highest navigable lake in the world. You will travel via motor boat for approximately 20 minutes to the Uros Floating Islands. The native people of Uros live on floating islands; houses, boats and craft are made of the totora reeds that grow in Lake Titicaca. After visiting the floating islands, we will travel via the motor boat another 2 hours to Taquile island. Taquile is a tiny island and the local people still speak the Quechua language and are known for their fine hand woven textiles and clothing. The people of Taquile island´s unique culture, style of dress and lifestyle make for a memorable visit. You will enjoy a locally prepared lunch of delicious fresh trout, before we take a short hike around the island. In the afternoon we head back to Puno via motor boat across the lake. At approximately 5 pm, we arrive at Puno and we will transfer you back to your hotel. Today we will pick you up at your hotel to transfer you to the bus station for your guided bus tour to Cusco. Along the way you will make some stops at interesting and fascinating places. After 1,5 hour drive we arrive at Pukara, a small town famous for its pre-Inca ruins and pottery. You will notice that the Andean houses have two bulls on the rooftop as they bring good luck. The second stop we will make at the Raya Pass, the highest point of the trip (4300 m) and also the halfpoint between Cusco and Puno. We make a stop at Sicuani for a delicious buffet lunch of typical Peruvian food, before we continue our travels to Racchi, to visit the Inca Temple of Wiracocha. Our last stop will be at the 17th century Andahuaylillas Church, with beautiful frescoes, a splendid doorway and a gilded main altar. Your arrival in Cusco will be at approximately 5 PM, and your driver will be waiting to take you to your hotel. In the morning, your tour guide and driver will meet you at your hotel to take you to the most interesting sites and attractions of Cusco. First we take you up to the impressive ruins of Saqsayhuaman, which are a very important religious and ceremonial site for the Incan culture. Here you have time to wander around and you will get impressed by the uniquely shaped stones. After, we will visit the main square of Cusco and the UNESCO world heritage cathedral with Christian artifacts. Your tour will then take you to Qoricancha, the temple of the sun. This was the most important temple of the Incas, dedicated to the Sun god, and it demonstrates the perfect construction technology of the Inca´s. After your Cusco city tour, we transfer you back to your hotel and you will have the rest of the day at leisure. Your private tour guide and driver will pick you up from your hotel in Cusco or in the Sacred Valley, to take you to the most interesting places of the Sacred Valley of the Incas. First we drive you Pisaq, where you can visit the large Andean market and the Inca ruins on top of the village. After a delicious lunch, we drive to the Inca village Ollantaytambo. You will feel that you will step back in time as Ollantaytambo has original Inca houses and you will witness unfinished Inca walls. You will visit the impressive Ollantaytambo ruins, temples and terraces. In Ollantaytambo you will depart the hour and a half train with spectacular sceneries to Aguas Calientes, the town below Machu Picchu. After an early breakfast, your tour guide will meet you at your hotel to take you for your Machu Picchu tour. We will take the 20-minute bus to go up to the archeological site of Machu Picchu, or the adventurous can hike up all the way (approximately 2 hours). Your guide will show you around at this sacred Inca site, you will learn about the history and you will visit the most important temples, the temple of the Sun and the Condor. After the guided tour, you have plenty of time to wander around on your own. In the afternoon, we return back to Aguas Calientes, where we will board the train to Ollantaytambo. Upon arrival at the Ollantaytambo train station, your driver will be waiting for you to transfer you to your hotel in Cusco. Today you have the day at leisure in Cusco. There are plenty of things you can do, such as climb up to the San Blas district, an artsy area above the central part of Cusco with small galleries, craft shops and restaurants. Visit the San Pedro local market, dedicated to sales of local fruits, vegetables, cheese, meats and artisanal goods or just relax on one of the benches at the Plaza de Armas. Today your driver will pick you up from your hotel to take you to Cusco Airport for your domestic flight to Lima. You will arrive in time for your connecting international flight. We truly hope you had a wonderful trip in Peru with our partner travel-team. How much will a porter cost? The porter will carry your personal items up to 18kg, thus you will only need to carry a daypack with your personal items with you such as snacks, water, camera. He will charge $40 per person per day.